Corning announces Gorilla Glass 5. 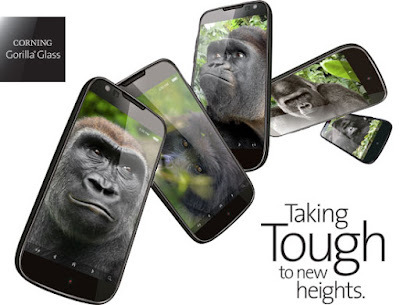 Corning Incorporated today announced its latest cover glass - the Gorilla Glass 5. The new cover glass is designed to provide further protection against breakage from everyday drops. Rigorous lab tests show that Gorilla Glass 5 survives drops onto rough, unforgiving surfaces up to four times better than competitive glass designs. The unique attributes of Gorilla Glass 5 build on the best-in-class performance of previous generations of Corning Gorilla Glass. In lab tests, Corning Gorilla Glass 5 survives up to 80 percent of the time when dropped face-down from 1.6 meters onto rough surfaces, far outperforming competitive glass designs.